Before we can get your party started, we need a little information. Tell us about your celebration! Full Service: Zoyo Team members will come to your event, set-up your yogurt and toppings and stay to present to your guests just as we do at the store. 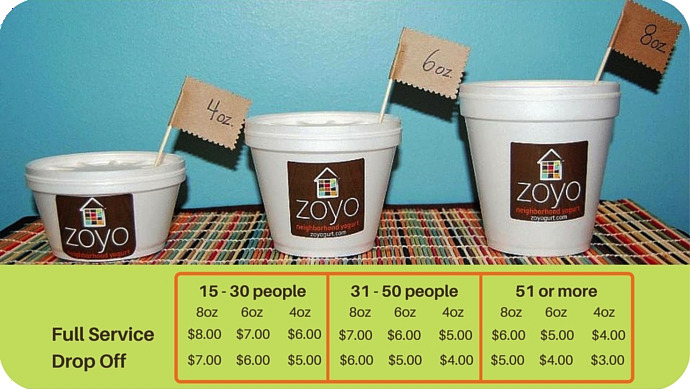 Drop-Off / Pick Up: Zoyo Team members will transport your yogurt and the 10 toppings of your choice to your event for your guests to top on your own and enjoy. Do you have any special theme requests or dietary requests?